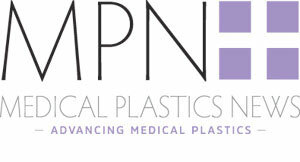 The vibrant and innovative medical plastic device industry continues to develop materials, push the boundaries in design, and move forward with manufacturing processes that contribute to global health and well-being. Looking at recent events – eg the US election and its subsequent winner – there has been much discussion for the future of medical devices, particularly the scrapping of the medical device tax. Advanced Medical Technology Association (AdvaMed), argued that the tax – which was created as a funding measure for Obama’s Affordable Care Act – harms job creation, deters medical innovation and increases the cost of healthcare. As a result, the organisation has called for the tax to be scrapped. As 2016 drew to a close, the 21st Century Cures Act, caused much discussion in the industry with its potentially significant implications for the medical device industry, such as faster device approval. Add to all this the rumours that Trump is looking to disband the FDA and the year ahead is looking highly interesting, whatever part of the world you live in. The UK experienced similar political excitement when the country voted to leave the European Union. With terms yet to be agreed and the full extent of what Brexit will mean for both the UK and the rest of the world, the medtech industry has been guessing at what its future implications. “The Medical Devices Regulation (MDR) project is unlikely to be affected by Brexit and will likely come into force within the EU as planned and might even be introduced in the UK, certainly within the 2 years leading up to the deadline for exit. “As they come in to effect in the EU’s other member states, UK medical device manufacturers wishing to sell in this market will still need to comply with this regulation. Putting global politics to one side, what else are we looking at for the medtech sector in 2017? Micro moulding expert Aaron Johnson, vice president of marketing and customer strategy, Accumold is predicting that medical devices will continue to shrink. What he does see changing is the rate in demand. “The growing convergences in wearable technology coupled with pressures on making medical treatments more assessable and cheaper to the consumer will drive innovation. This type of innovation typically pushes the limits on size, features and functionality. This, I believe, will also drive more blurring-of-the-lines between micro electronics companies and medical device companies. Future headline: Intel Inside: Literally!” he says. Like Johnson, Seán Egan, group marketing manager, Nelipak Healthcare Packaging, sees electronic technology having an increased role to play in medical devices. “2017 will continue to see the growth of implantable medical electronic and bioelectronics devices to monitor and deliver patient care in both the hospital and home environment,” revealed Egan. As always the medical plastics world keeps a close eye on technology. The concept and benefits of digital health are widely viewed as the future by the medtech sector. Christoph Lhota, vice president, medical, Engel, sees Industry 4.0 as being a key focus for his business in the year ahead. Beginning with the production of devices, Engel is using OPC UA to guarantee secure communications between systems, machines, and controls. “By rendering processes more predictable, stable and secure, Industry 4.0 is creating tremendous opportunities, most especially in the area of medical technology. In most businesses, a MES has long been the standard. Intelligent assistance systems with which manufacturing processes optimise themselves are now attracting more and more attention requiring new approaches in the area of validated processes,” he says. And for the injection moulding sector? According to Lhota the trend towards mobile point-of-care diagnostics is creating growth in this industry as more and more plastics are being used to produce the compact and lightweight devices. “Overall, the most recent business mergers and acquisitions have led to a reduction of projects within the medical technology sector; project volumes, however, are on the rise,” he says. Technology features highly on Bing Carbone’s prediction list for 2017. According to the president of Modern Plastics, growth in 3D printing will continue on 2017 although recognises a potential flaw in this sector. Carbone says that due to the PEEK 2016 Federal Trade Commission Ruling he expects the medical market to continue to grow with PEEK applications now that FTC has opened the field for competition. “Price had been a limiting constraint for some applications to use PEEK but competition will bring down price, allowing many new devices to consider this highly desired material,” he adds. Looking ahead Carbone also sees continued medical device industry consolidation and an increase in demand for outsourcing as demand for medical devices and competition grows. He also sees that medical device companies developing new products to meet the needs of emerging markets in China, India and Kenya. The drug delivery sector is always high on the medtech agenda. Eric Resnick, vice president & chief technology officer, West Pharmaceutical Services, makes his prediction for drug delivery packaging in the year ahead. “Biologic therapies continue to be the most influential driver in drug packaging. For example, some drugs must be stored at sub-zero temperatures, which can render traditional components and materials ineffective. This has forced the packaging industry to innovate components using new materials that safely contain the drug in new environments. The Internet of Things is becoming ubiquitous, and we will see its influence in the drug packaging industry in the very near future. This could include leveraging smart packaging that shares data at the container and component level with other connected devices about any number of areas related to the drug product and packaging process,” he says. If global regulation does have a positive effect on the medical device sector and technology helps boost both manufacturing as well as end-user uptake, 2017 could be a significant year for the manufacture of medical devices and those in the supply chain.